From the editor-in-chief of Cosmopolitan magazine and author of Why Good Girls Dont Get Ahead but Gutsy Girls Do comes a debut novel about a true crime writer for New Yorks hottest womens magazine. Bailey Weggins, a clever writer for a leading womens magazine, Gloss, is dragged into a murder investigation by her editor-in-chief and boss from hell, Cat Jones. Cat is a woman who gets what she wants from her employees, so when she discovers that her nanny has been murdered she insists Bailey find the killer before the police do. 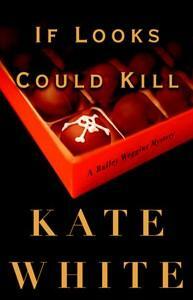 Was the chocolate that poisoned the nanny meant for Cat, known for her love of truffles? But then, the beautiful, duplicitous nanny has an enemy list all her own. The investigation takes Bailey from the streets of New York City to the swankiest Connecticut suburbs and Bucks County retreats, and everyone is a suspect, including the catty editors at Gloss. Bailey proves that she is the original gutsy girl when she outwits the clever killer.